Some false teacher has pressured the churches in Galatia (a region in the Roman Empire) to follow the Jewish Law. They’re teaching that salvation comes through the Law of Moses, and not through Christ—the exact opposite of what Paul had taught them. So Paul writes a letter to bring them back to the truth. This letter isn’t about Paul’s ego or preferences: it’s about understanding why Jesus had to die and how it affects us. The Jews had been living under the Law since the days of Moses. The Law was a set of expectations for God’s people: commands that, when followed, would distinguish Israel from all other nations as a people that belonged to God. However, Israel couldn’t keep the Law. Nobody could: everyone was a sinner. So God sent Jesus. Jesus lived the Law, died for our sins, and rose again—He fulfilled the Law. The Galatians’ new teacher completely disregards and disrespects God’s grace, Christ’s sacrifice, and the Holy Spirit’s work. That’s why Paul is so upset. This book explains the believer’s new relationship with God. We’re freed from sin. We’re freed from the Law. We’re adopted as children of God. We’re counted as spiritual children of Abraham, whether we’re Jews or non-Jews. And we’re all empowered by the Holy Spirit to do good works, something sin prevented us from doing and the Law never enabled us to do. Christ’s death is important, and Paul won’t let anyone forget it. 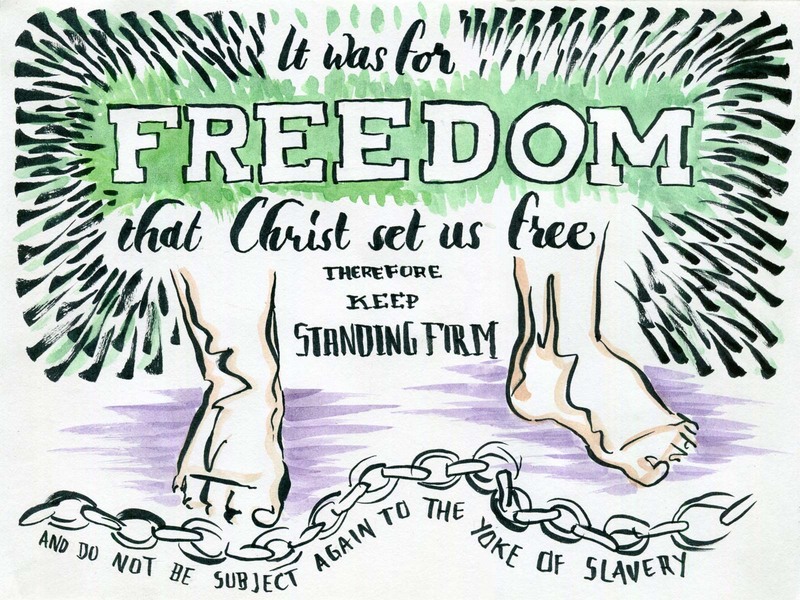 It was for freedom that Christ set us free; therefore keep standing firm and do not be subject again to a yoke of slavery. Check out the verse art for all the other books. Galatians is the fourth of Paul’s letters. Of the 27 New Testament books, Paul wrote 13. Nine of these book are letters to local churches (like the ones in Galatia). The Galatians felt pressured to seek salvation from the Law of Moses, even though they had already accepted the grace of Christ. The book of Galatians succinctly outlines the relationship between the Law of Moses and God’s New Covenant with the Church. What about God’s promises to Abraham? God made an everlasting covenant (a pact or agreement) with Abraham in the book of Genesis. This was a promise to bless Abraham, his descendants, and the world (Gn 15). Abraham’s descendants, the Hebrews, were considered God’s special people, and God set them apart from the world with the Law at Mount Sinai (this happened in Exodus). Paul teaches that faith in Christ does not cancel out God’s promises to Abraham; rather, it extends the blessings of that covenant beyond Israel. Now, anyone who believes in Christ is a spiritual son of Abraham (Ga 3:29). What is my relationship with God? Paul teaches that faith in Jesus makes us not only children of Abraham, but also children of God. It’s a radical shift in identity: we are adopted into God’s family (Ga 4:5–6). Why make the Law in the first place? The Law is a tutor that taught us two things: (1) God is holy and expects His people to be holy, and (2) we cannot live up to His standards. The Law makes it clear that we need a savior. We’re being changed, but we still sin. 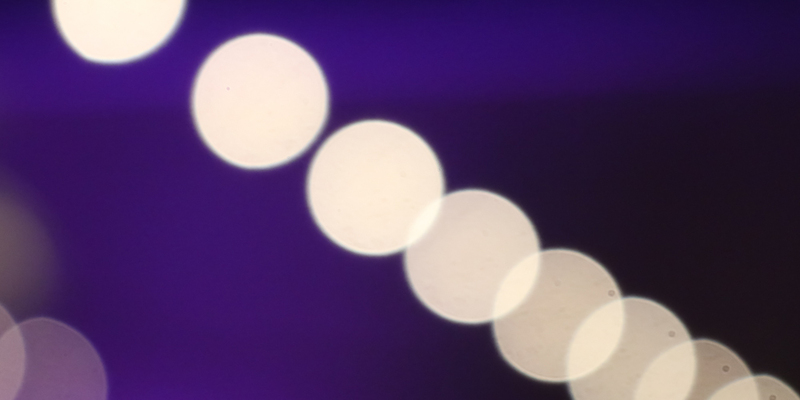 Paul explains how the Holy Spirit works in us to battle our sinful desires. It’s in Galatians that we find the fruit of the Spirit (Ga 5:22–23). If we’re free from the Law, are we free to sin? No way. “God is not mocked,” and we all reap what we sow (Ga 6:7). Paul finishes his letter with a strong call to do what’s right and not lose heart as a community of believers: “Let us do good to all people, and especially to those who are of the household of the faith” (Ga 6:9–10). Paul acknowledges that those who advocate the Law may still try to refute his letter, but urges the church to lean on the true gospel of grace in Jesus.